Springwood Apartment is a luxurious one bedroom apartment within the stunning Grade B listed Springwood House. 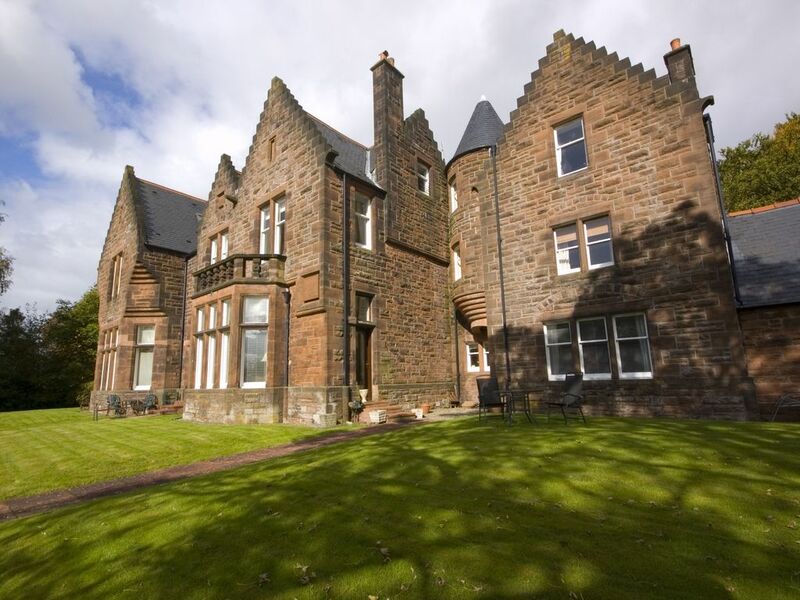 Built in 1870, this impressive Victorian villa is only a short walk from the city centre. Set amidst stunning, mature gardens which offer an idyllic setting and complete privacy, you will be spoiled by its convenient yet quiet location. This apartment is quite unique and offers genuine charm and character; the ample sized dining table can comfortably sit 8 people giving you the benefit of entertaining in this magnificent room and the Poggenpohl designer kitchen is fully equipped with all appliances needed to ensure your stay is a comfortable one. The generous double bedroom is a beautiful, bright room and is set off by the front facing bay window and also a luxury en suite bathroom. This apartment also has a separate large bathroom. There is a sofa bed in the lounge allowing this property to sleep up to 3 guests. Please note there is a small additional fee of £15 per night for the use of the sofa bed. A stay here will provide you with luxurious yet affordable accommodation and is an ideal base to explore Stirling City Centre and beyond. There is a sofa bed suitable for 1 adult in the lounge. There is a small additional charge of £15 per night for the use of the sofa bed. Springwood apartment is entirely unique and has everything you could possibly need to make your holiday special. The weather was cold when my husband and I were there and we were so glad to have such a cosy place to return to each day. It is in a great location with easy access to motorways and the beautiful countryside around Stirling. We enjoyed every minute and look forward to returning soon. This is our second stay at Springwood Apartment and we have to say it was just as good, if not better than our last. Dealing with Stirling Self Catering was super easy and they were once again extremely helpful. We chose this apartment initially to attend a family reunion and were so impressed by it that when we were back this year for a golfing break we didn't even look anywhere else. The location is great, a close walk to Kings Park and the town centre and lots of shopping choices 5 minutes drive away. The apartment was spotlessly clean and warm and welcoming. It's spacious and well equipped for a short or long term stay. We would definitely stay here again when we're next in Stirling. What a space in this Victorian villa! The livingroom and the bedroom are very large. To us it felt dignified and we loved it! We've had a very relaxed week in this well equipped and furnished house. If we ever go back to Stirling, we want to stay in this house again! Springwood Apartment provides an ideal base for visiting Stirling and the surrounding area and is within walking distance of Stirling shopping centre. The apartment is spacious and comfortable with all modern conveniences, and the welcome pack was very much appreciated. This was our fourth stay at Springwood Apartment and we enjoyed it every bit as much as the previous three. Good situation in Stirling, 15 minutes from town on foot. The flat is well furnished, and the kitchen has all you need. Quiet residential area, supermarkets only a few miles away by car.